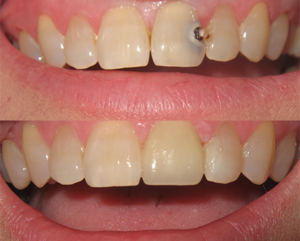 Porcelain veneers offer the ultimate in esthetics. A veneer is a thin facing or covering that bonds to the natural tooth structure. A much more conservative alternative to crowns (caps) that can give you the smile you have always dreamed of and deserve.